African-American hair is amazingly beautiful, but beauty comes with a price and we all know how difficult it can get to take good care of your black curls. Thick, dry and coarse most of the time, the African-American hair isn’t challenging only when it comes to its caring, but also when it comes to styling it. From the simple hair drying to the sophisticated flat ironing, the African-American hair is no easy job for many. What to look for in a flat iron? If your mind is set to try a flat iron on your black curls, you’d better pay attention to some features on it so you don’t come back home with a lemon that you cannot use on your hair. First of all, you want your flat iron has to be dependable and long lasting, able to take the challenging duties related to the black hair. High heat is another thing to check on your flat iron. You don’t want to make many passes through each section so high heat is essential on your flat iron. New technology is great and it gives us the infrared and negative ion-emitting flat irons. They are known for also minimizing frizz and protecting your hair from damage. This type of flat irons may come in form of ceramic, titanium, tourmaline or any combination of these. As for the size of the flat iron, it should match the length of your hair. You want a smaller flat iron for the short hair and a larger one for the long hair. When you’re using a flat iron, you also need to protect as much as you can your hair so it’s important to use not only a good flat iron, but also a good straightener, shampoo and conditioner. An efficient oil hair for locking in moisture of your hair is also essential. Get the cosmetic products that have heat-protecting qualities and create your very own routine for protecting your hair when using the flat iron. 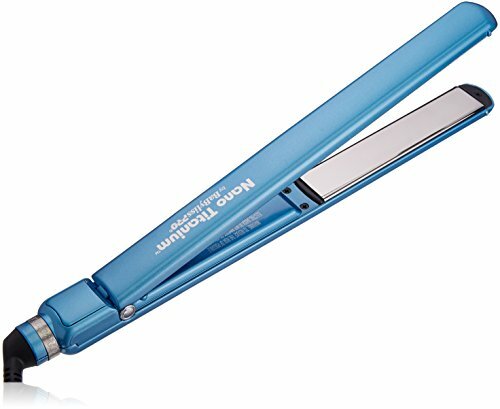 Even though the Infiniti Pro by Conair Tourmaline Ceramic Flat Iron isn’t the most impressive option out there, it doesn’t mean it’s not bringing many good features to the table and only some minor flaws. The flat iron features 1-in floating plate and it’s made with Tourmaline ceramic technology. This means it styles your hair, leaving it silky smooth, minimizing frizz and flyways at the same time. It protects your hair from damages and needs only 15 seconds to heat up. The flat iron presents uniform heat recovery and offers all-day humidity protection. It gets up to 455F degrees and comes with an Auto-off feature. Its temperature dial is easy to operate so you can get through all the 30heat settings nice and easy. Lightweight, the flat iron glides easy onto your hair, gripping it well. It’s easy to handle and its swivel power cord makes hair styling effortlessly. It doesn’t tangle your hair and leaves your hair shiny and smooth. Reliable and protective of your hair, the flat iron is quite a good option for the money you’re paying. However, the flat iron styles your hair nicely, protecting it from damage and comes for a bargain price too. 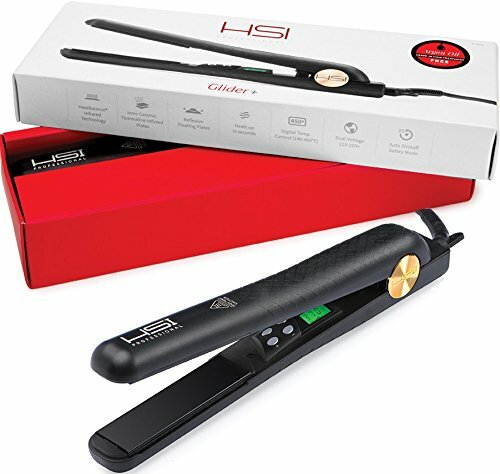 In order to understand why the HSI Professional Glider | Ceramic Tourmaline Ionic Flat Iron Hair Straightener is so popular, you only need to take a look at its features and detailed description. The glider straightens, flips and curls your African-American hair, giving dramatic results on the most frizz coarsest hair. It works easy and fast and leaves your hair silky soft. The micro sensors of the high quality ceramic plates protect your hair from damage. They regulate the temperature and distribute evenly heat so there aren’t necessary many passes on your hair. The plates are designed with both ceramic and tourmaline crystal ion plates which makes your hair nice and shiny every time you’re using the flat iron. They are floating plates with curved edges so you may adjust the angles all the time, without snagging your hair. The plates are 1” size and they give great control on all hair types. The temperature is adjustable and ranges from 140 to 450 F degrees so you get enough control when using the flat iron. The cord is 7ft. long and it’s a swivel power cord that gives you plenty of freedom when using it. The flat iron doesn’t give a burnt smell and it leaves your hair shiny and flat. The frizz is gone and the flat iron doesn’t tug nor snag your hair either. The grip has an ergonomic design and the flat iron doesn’t strain your hand. It features a nice storage pouch so it’s a great choice when travelling too. It comes with a useful glove and takes the use for a good amount of time. Nevertheless, as it’s easy to use, dependable and protecting for your hair, this flat iron is a safe option for most. 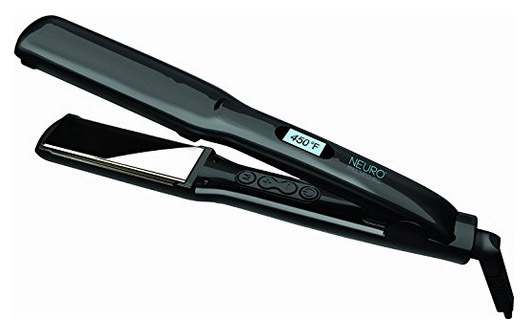 If the price tag is the last thing you’re checking on the flat iron, put your trust and faith into a flat iron like the Neuro Smooth Flat Iron. The flat iron is great for smoothing, but also for flips and waves. It comes with adjustable temperature and it’s able to heat to 450 degrees in just 30 seconds. The high quality of the iron comes with Isotherm titanium plates and a Smart Sense microchip that ensure lightning-fast heat recovery. You get to style your hair fast and easy, just like in a professional salon. The cushioned plates come with beveled edges which is always great to have when styling. The plates are 1.25” and they work for all sorts of hair lengths and styles. The iron flat features a customizable auto shut-off and gives a firm grip. It leaves your hair silky smooth and straightens really well. It glides effortlessly on your hair and doesn’t cause tiredness to your arm or shoulder. The flat iron comes with a long cord and the swivel power cord gives you high freedom to move when styling your hair. Well-made and elegantly looking, the flat iron doesn’t disappoint. 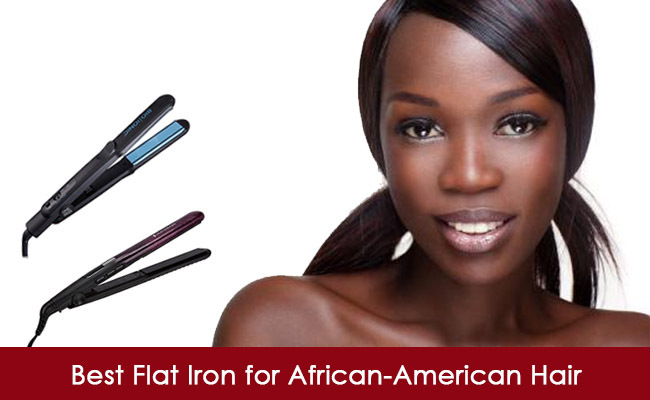 All things considered, the flat iron is a great choice for the African-American hair and money well spent altogether. 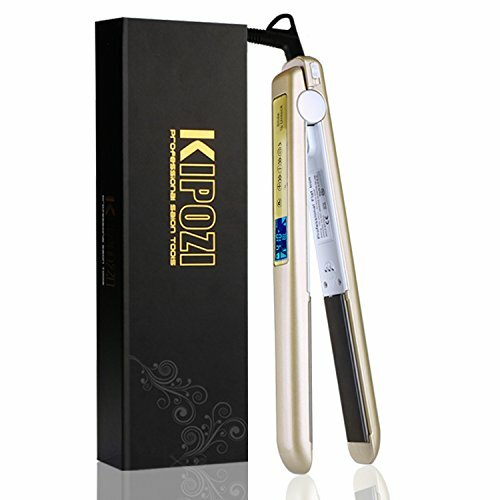 For anyone looking for a dependable flat iron for their natural African-American hair, the KIPOZI 1 Inch Pro Nano-Titanium Flat Iron is quite a deal as it’s full of good things and it’s affordable too. The flat iron heats up to 450F degrees and heats up pretty fast too. It features contoured floating plates that glide nicely through your hair. They don’t snag the hair and give you the chance to try various styles for your hair. The 1in 3D floating plates don’t pinch nor pull your hair. The list of good things continues with the LCD touch screen that makes the use so easy. The flat iron comes with auto-off feature and slides to unlock. 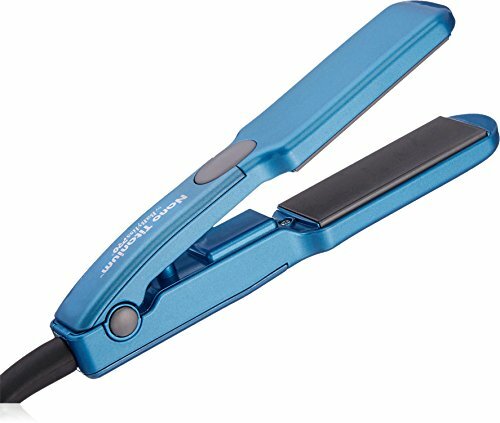 It’s a dual voltage flat iron so using it in Europe and USA is not challenging at all. The cord is 8ft long and it’s a 360degree swivel type, which means lots of freedom while styling the hair. The flat iron presents several settings that go for various hair types. The locking switch design turn the flat iron into a compact styling tool that is so easy to carry when travelling. The flat iron doesn’t damage your hair and leaves it soft and shiny. You don’t have to make many passes over your hair for getting results either. Last, but not least, the flat iron comes in a nice case so carrying/storing is both easy and fashionable. Nevertheless, the flat iron does an amazing job on various hair types, natural African-American including and comes with an attractive price too. Don’t let the low price of the Remington 1” Flat Iron with Anti-Static Technology and Digital Controls scare you as the flat iron is quite a nice surprise for the money. As a matter of fact, the flat iron brings quite many good things to the table, so you’re not going to end up with a lemon when getting it. The flat iron is made with Anti-Static Technology which means up to 50% less flyaways and frizz. It features 1” long ceramic plates and heats up to 410F degrees. The list of features includes the digital controls with LCD screen for easier use. The flat iron blinks when it’s ready to use and needs around 30 seconds for that. The titanium protection coating means your hair is going to become silky and smooth after styling. The flat iron glides nicely and is great for straightening and curling your hair too. It comes with Auto shut-off and no less than 6 heat settings to choose from when styling your hair. The plates grip well and sturdy your hair and don’t snag your hair. The swivel cord gives you freedom when styling and the cord has a good length. The flat iron locks so you may safely store it when you’re done. The price is great and the flat iron is a valid option for a tight budget. However, the flat iron is a reliable tool for styling your hair and comes for an unbeatable price. When in need of a ceramic flat iron, take a leap of faith with the GHD Classic Styler 1 Inch Original – Straightener Flat Iron. Award-winning, the flat iron comes with just one single heat setting, but this doesn’t mean it’s not versatile or not protective with your hair. By contrary, the flat iron needs only a couple of seconds for heating up and you may effortlessly use it for curling, waving or straightening your hair. The hair remains silky shine and the frizz is gone. The flat iron heats up to 355F degree and its ceramic plates glide so smoothly on your hair. They’re contoured ceramic heat plates that don’ scorch nor snag your hair. Packed up with several efficient features, the flat iron is a dependable option. It features a sleep mode and automatically shuts off when not in use for 30 minutes. We also notice the 8ft. long swivel cord and the round barrel that allows you various movements while styling your hair. The flat iron is lightweight so you may use it for a long time, with no strain for your arms and shoulders. It’s easy and comfy to hold and the plates grip sturdy the hair. Built to last, the flat iron beeps when it’s ready for use and comes in a beautiful box which makes it authentic. Safe to use on all hair types and for various hair styles, the flat iron is a ceramic option not to skip on when in need. Cute looking, yet able to get really hot, the BaBylissPRO Nano Titanium Mini Straightening Iron is an amazing solution for you to take when travelling. The flat iron comes with ½” Nano Titanium-Ceramic plates so it straightens nice and smoothly your hair, leaving it shiny and frizz-free. It’s the perfect choice for the short and medium length hair. The little flat iron heats up to 440F degree and even if it’s not heat adjustable, it does a great job when travelling. It’s lightweight and only 6” long altogether so finding its place in your purse isn’t going to be a problem at all. The Nano titanium/ceramic plates get hot pretty fast and stay hot. They heat up evenly and straighten the hair without damaging it. We’re not done with the good things of the flat iron and we also have to mention the dual voltage that makes it versatile and easy to use worldwide. Cute and powerful, the flat iron is a dependable option to take on your next trip. As long as you’re focusing on the positives, which are many, the flat iron still stands out as a valid option for travelling. 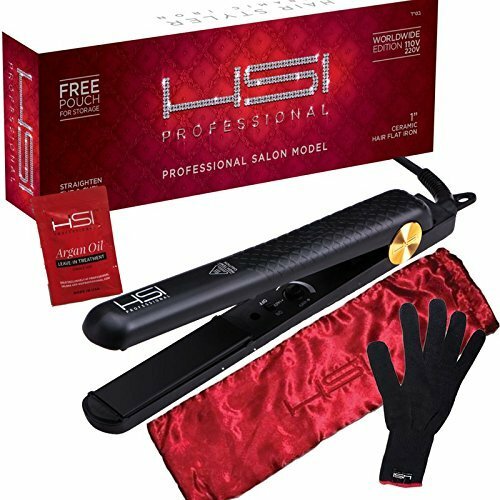 Protective of your relaxed African-American hair, the HSI Professional Digital Ceramic Tourmaline Ionic Flat Iron Hair Straightener manages to check many quality boxes and isn’t expensive either. 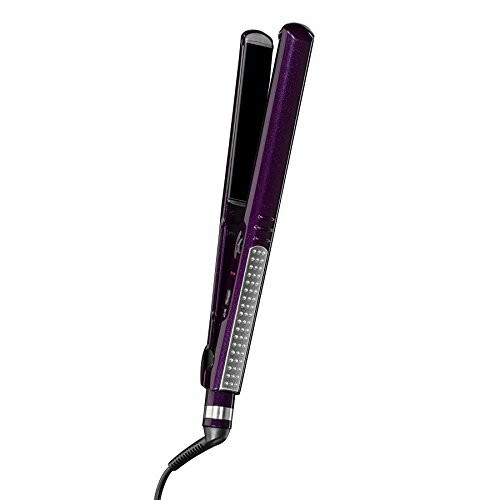 The flat iron comes with 100% True Solid ceramic tourmaline plates and infrared heat technology. It heats up fast, up to 450F degree, but it doesn’t damage your sensitive hair. The plates clamp evenly and leave no space in between. We like the flat iron as it comes with adjustable temperature settings and you may set the flat iron from 240F to 450F degree. Additionally, it also features a digital LCD temperature control that is very easy to read and tells you exactly the temperature. The round body shape design allows you to try various flips and curling hair styles, whereas the long and swivel cord gives you freedom of movement during hair styling. The flat iron helps you style beautiful curls but also straighten nicely your hair. It leaves your hair shiny smooth and doesn’t catch it at all. It leaves no burning hair smell and its automatic shut-off makes sure it turns off automatically when not in use. The dual voltage makes the flat iron versatile and easy to use worldwide, whereas the ergonomic design increases ease and comfort during use. We also like the flat iron as it comes with plastic housing for the plates and a thick satin carrying pouch that makes it so easy to travel with. The flat iron comes with a heavy-duty glove that protects you from accidental burning while using the flat iron. All things considered, the flat iron is great for styling a relaxed African-American hair, with minor risk for damaging it. Made for the heavy-duty use in a professional salon, the BIO IONIC Onepass Straightening Iron is a good investment of your money any given day. The flat iron is quite break-through when it comes to straightening iron technology. It heats up really fast and it’s the no.1 choice of professionals. It features the patented silicone speed strips in the plates that give you fast straightening. Additionally, the plates grip really well your hair, without pulling or breaking it. The BioCeramic heaters heat up to 400F degree and you only need one pass for straightening your hair. The OnePass Iron plates give natural negative ions and far infrared energy that simply breaks down water into small molecules. They go deeply into your hair and hydrate it, keeping frizz at distance. The hair remains shiny and silky smooth. The flat iron is a multi-level heat controller and comes with a 9ft. swivel cord that gives you amazing freedom during hair styling. You get an impressive range of temperature to choose from and the flat iron takes the long time use. It’s well made and it doesn’t come with automatic shut-off feature which is a good thing in a professional salon where constant use of the iron is needed. The flat iron is delicate on fine hair ad it’s ergonomic design ensures easy and comfortable use with minor strain for the arms and shoulders. Regardless of the minor issues, the flat iron is a great option for the professional use and it’s worth every single penny. 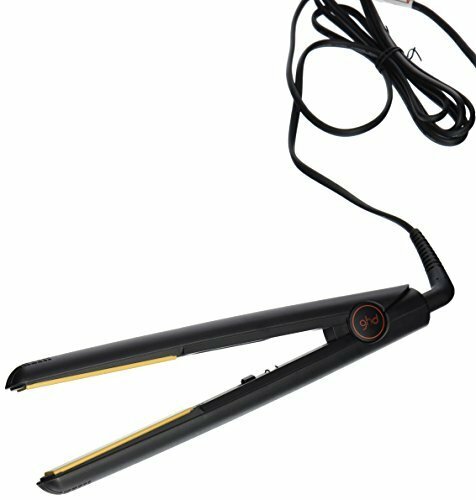 The CHI Original 1″ Flat Hair Straightening Ceramic Hairstyling Iron 1 Inch Plates is packed up with several good things and its minor flaws don’t minimize its overall value. 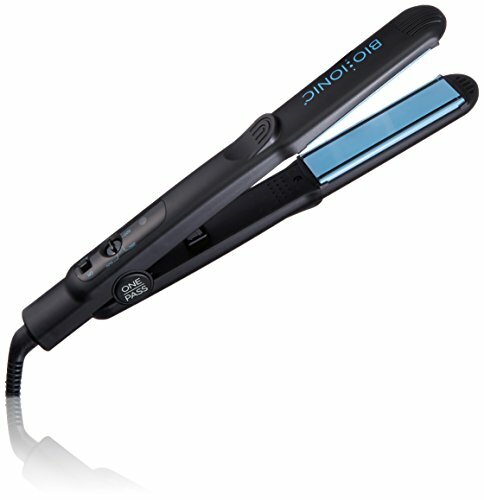 The flat iron is a ceramic type that uses infrared heating, while minimizing frizz and flyaways. It makes your hair shiny and smooth, giving you the chance to try various hair styles. The heating tool gets hot up to 392F degrees pretty fast and has 1” ceramic plates and heater. The far infrared goes inside the hair from the inside out, whereas the negative ions add moisture and shine. You may straighten, curl or wave your hair with the flat iron. The all-in-one ergonomic design makes the flat iron versatile and dependable. It comes with a 11ft. swivel cord that gives you freedom while styling. The flat iron has dual voltage so using it abroad isn’t going to be an issue. The flash tells you when the flat iron is hot, easing the use. Easy and comfortable to use, the flat iron is well made and has a durability feel to it. However, as it’s versatile and dependable, the flat iron is far from being a lemon and manages to work amazing on a coarse African-American hair too. The slim design is the first thing to notice at the BaBylissPRO Nano Titanium-Plated Ultra-Thin Straightening Iron, but the flat iron brings a lot more to the table. The Ultra-Light Titanium flat iron features ultra-thin and smooth titanium plates that conduct high heat and handle corrosion very well too. 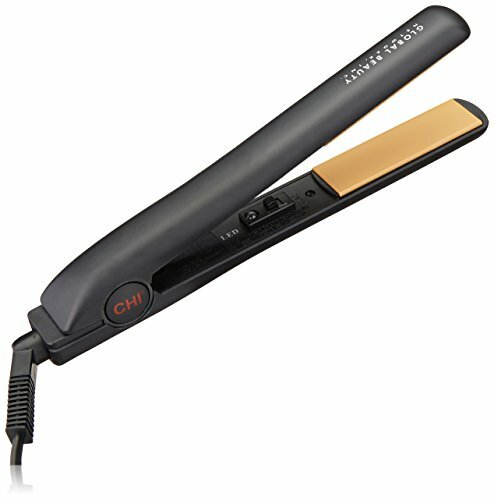 The flat iron comes with a ceramic heater so it heats up fast and recovers immediately as well. You get no less than 50 heat settings on the flat iron that goes up to 450F degrees. It’s a safe choice for all hair types, but it gives best results on short to medium hair. The flat iron is ultra-lightweight and it’s easy to use it for long time. It’s a long flat iron so styling the back of your hair isn’t challenging. The handle gives a good grip and the plates grip well the hair, without catching or breaking it. They are smooth so the flat iron glides easily over your hair. The swivel cord lets you move freely your hand while styling and the flat iron is comfortable to use. On top of everything else, it comes with Ryton housing so it’s safe to touch when using. All in all, the flat iron is a reliable styling tool for the African-American hair that comes with titanium plates, among other good things. 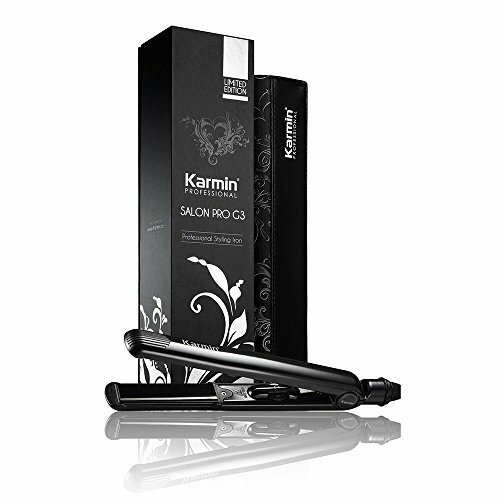 Even though you may be feeling like paying the extra buck, at the end of the day, the Karmin G3 Salon Professional Ceramic Flat Iron is worth every penny. 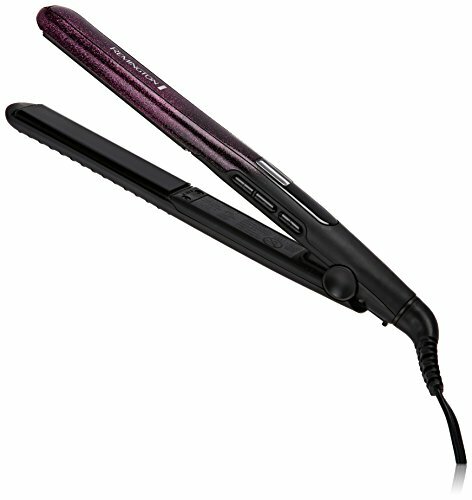 The flat iron comes with 1” pure tourmaline ceramic plates and a high quality heating element for flash quick heating. Based on ion field technology that seals in the natural oils of your hair, the flat iron leaves your hair silky shiny, with no frizz or flyaways. You may use the flat iron for various hair styles as it comes with variable temperature settings. The temperature ranges between 250F to 460F degrees so you may confidently use the flat iron on all hair types, African-American including. We also have to mention the 10ft cord that is a 360-degree swivel type, giving you plenty of freedom while styling. The package of functional features continues with the Drop Safe technology that means the flat iron handles a fall. It comes with worldwide voltage so it’s a versatile tool to take abroad. The anti-slip edges and the slim handle design ensure easy and comfortable use. The flat iron has automatic sleep mode so it shuts off automatically after 1 hour. The floating plates are covered with tourmaline and don’t damage your hair, no matter how you choose to style your hair. The flat iron feels great in the hand and it’s well made, leaving a durability feel. We’re focusing on the positives as they’re plenty and the flat iron is a good investment of your money, no matter how you put it.